Anderson Cooper anchored AC360 in the 8pm and 9pmET hours from the NYC studio. Most of the program centered on the breaking news for the first charges filed in the Mueller investigation. Little-known WWII hero tells his story on 60 Minutes One mistake and a child could die. To this day, 92-year-old Adolfo Kaminsky feels guilty he survived the Holocaust. This despite the fact that his remarkable work as a forger during World War II saved the lives of thousands of Jews. 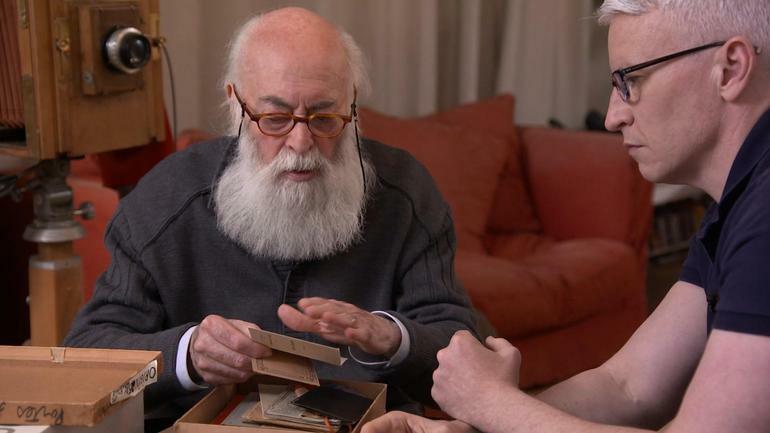 On 60 Minutes, Kaminsky recounts how he skillfully created fake identity documents that helped thousands of Jews escape certain death. Anderson Cooper reports on this little known-WWII hero on the next edition of 60 Minutes Sunday, Oct. 29 at 7:00 p.m., on CBS. Adolfo Kaminsky was just a teenager when his family was rounded up and sent to Drancy, a concentration camp outside of Paris. There he witnessed the horror of the Holocaust first-hand, watching as thousands of Jews were loaded onto trains and sent to Auschwitz. "Every week, I saw a thousand people be deported. It was horrible suffering…there was just a huge, unimaginable quantity of people murdered," says Kaminsky. Miraculously, Kaminsky and his family were released from Drancy after 3 months. Though they were Jewish, they were citizens of Argentina, which at the time was neutral in the war. After their release, Kaminsky's father decided the family should split up and adopt false identities. He sent young Adolfo to pick up their false papers from a member of the French resistance. When the resistance fighter learned Kaminsky had worked in a dry cleaners and knew how to remove ink stains, he recruited the teenager to become the chief forger of the Paris lab. Kaminsky's forgery skills proved invaluable in removing the permanent blue ink used in official documents. "It was very important because that enabled us to use…papers that were real and you could erase things from them without leaving any trace," he tells Cooper. Kaminsky ran his secret lab in the center of Paris, right under the nose of the Germans. There, Kaminsky and 3 others used chemicals and other tools of the trade, pretending they were artists to avoid drawing the attention of neighbors. "We had paintings on the walls and paint brushes and all kinds of colors," says Kaminsky. They had to work quickly and help people disappear. Their work involved removing the word "Jew" from identity documents. It was a matter of life or death. "Having Jew stamped on anything meant you were in danger," says Kaminsky. But Kaminsky didn't just alter documents, he also created new documents from scratch – including identity cards, food ration cards, birth and marriage certificates. Remarkably, Kaminsky and the resistance networks he worked with are responsible for creating fake documents that saved an estimated 14,000 Jewish men, women and children. Kaminsky says by saving others, he saved himself. "If I couldn't have saved so many people, I would not have survived myself. Most of my friends who were survivors committed suicide. So many people were treated like animals with no respect. It's just really hard to bear." VIRGINIA THAT FATEFUL DAY. I HOPE AC DISCUSSES THIS UPRISING IN THE UNITED STATES WITH THIS HERO FROM WWII. BUT SOMETHING TELLS ME HE'D RATHER NOT "GO THERE." WHAT A SHAME THAT SOME PEOPLE HERE CAN BE SO EASILY DUPED INTO BELIEVING WHATEVER BOGUS WANTS THEM TO BELIEVE. I'LL GIVE HIM THIS.....HE TRIES TO MANIPULATE EVERYONE HE CAN, THE PRESS, THE PUBLIC, ANYONE WHO IS NAIVE ENOUGH TO BELIEVE HIS LIES, AND THEY ARE BEAUTIES. BUT SOMEONE FLIPPED AND I EXPECT MORE INDICTMENTS....GETTING CLOSER BOGUS, GETTING CLOSER. SOME LOW LEVEL OPERATIVE OF YOURS, NOT HILLARY'S FLIPPED, AND YOU ARE GOING DOWN......OH IT MUST BE THE DEMOCRATS, I MEAN HILLARY, CROOKED HILLARY. WE ALL KNOW YOU ARE THE "CROOKED ONE." TAKE A GOOD LOOK AT YOURSELF IN THE MIRROR BOGUS... SEE DIRTY DONALD. HAPPY HALLOWEEN.